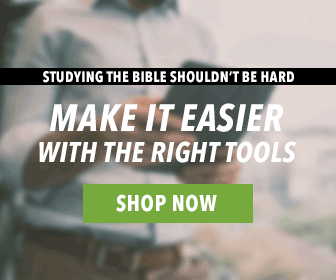 Want to shake up your daily Bible reading? 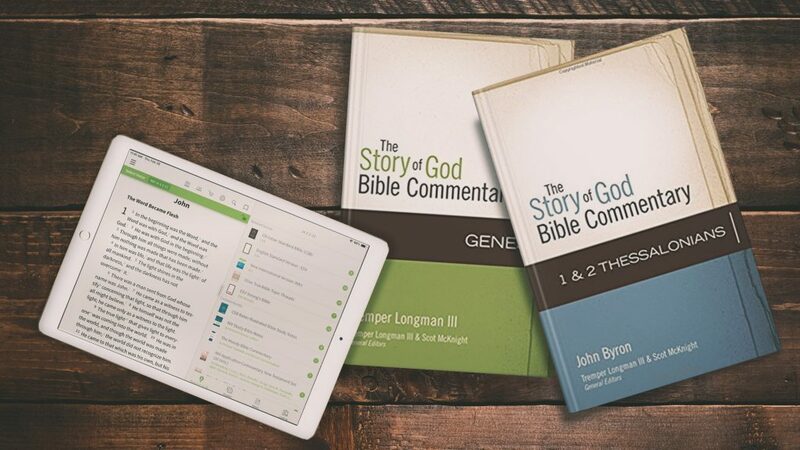 In this post, we’ve included an excerpt from the Story of God Bible Commentary on Philippians 1:12-18. We love this series because of its commitment to revealing the narrative of Scripture. Then, it always shows how it applies to our lives. We couldn’t include all the commentary on this passage, sadly. There was just too much! So if you get to the end of this post and want more, there will be a link for you. “Now I want you to know, brothers and sisters, that what has happened to me has actually served to advance the gospel. As a result, it has become clear throughout the whole palace guard and to everyone else that I am in chains for Christ. And because of my chains, most of the brothers and sisters have become confident in the Lord and dare all the more to proclaim the gospel without fear. It is true that some preach Christ out of envy and rivalry, but others out of goodwill. The latter do so out of love, knowing that I am put here for the defense of the gospel. The former preach Christ out of selfish ambition, not sincerely, supposing that they can stir up trouble for me while I am in chains. 1But what does it matter? The important thing is that in every way, whether from false motives or true, Christ is preached. And because of this I rejoice. Paul here informs the Philippians about his current situation in Rome, imprisoned but not silenced. Indeed, some believers are, ironically, made more confident to share the gospel because of Paul’s chains. Sadly, others are using Paul’s confinement to cast doubt on his ministry. Nevertheless, Paul declares that as long as the good news of Christ’s redeeming love is proclaimed, he rejoices. Paul explains here one of the ironies of the Christian life: what looks like utter defeat turns out to be victory — in God’s hands. Common sense would dictate that Paul’s influence is gone and his prospects washed up, for he has been languishing four years in prison (two years in Caesarea Maritima, two more in Rome). But “in Christ” (1:13) the impossible becomes possible and the gospel message spreads even more widely than if spoken only by Paul. In these three verses, Paul speaks of his imprisonment, but he does not describe his own mood or physical condition. Instead, he notes the contrast between his personal, restricted circumstances, about which the Philippians are well aware, and the public expansion of the gospel, a phenomenon they are not anticipating. Paul also speaks of the gospel’s “progress” in 1:25, where the term refers to the advance of the gospel in the Philippians’ own lives. Other than 1 Timothy 4:15, these are the only two places where Paul uses this term. The cognate verb describes a smith’s hammering of metal to lengthen it or the passing of time, as in the phrase “the night is advancing.” The verb carries the idea of progress and advancement. What sort of progress might Paul be intending here? Of course, the gospel message is complete in itself; God’s salvation plan for the world through Christ has been foretold in the prophets and enacted in history a few short decades before Paul wrote this letter. The progress is not with the gospel itself, but with the telling of the gospel. From Paul’s statement that the whole Praetorian guard (NIV “palace guard”) is now aware of the gospel, we can safely assume that Paul has in mind the numerical increase of those who have heard the gospel. 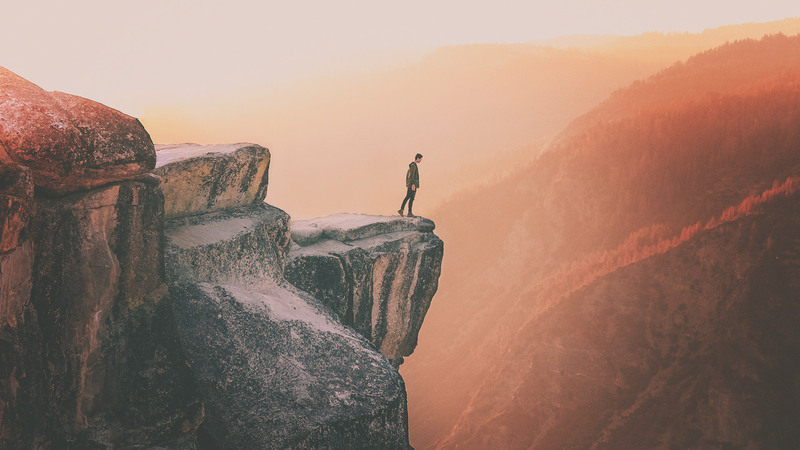 But since he also speaks of many believers emboldened to speak, we can also understand this progress to indicate that within the church itself, there is growth as many believers take steps of faith, trusting God as they tell his story of redemption. Advancement of the gospel for Paul, then, is both the increased number of people hearing that message and the increased number of believers sharing it. It may be useful to pause and reflect here on the content of the gospel, which is spreading so surprisingly. Paul does not define the content here in bullet points, but a careful read of his letters suggests that a few central truths made up the message. First and foremost, the message is about Jesus Christ. He is the son of David and the Son of God (Rom 1:3-4). Christ died for humanity’s redemption (Eph 1:7), and his death on the cross is shared by all believers (Gal. 6:14). Christ has been raised, according to Scripture (1 Cor 15:4), and he will return, having destroyed every ruler, authority, and power, including death itself (1 Cor 15:24-28). God’s work in Christ is available to everyone — forgiveness of sins and new, abundant life in the Spirit. The believers’ future is secure, because the hope is founded in Christ’s resurrection, the firstfruits that indicate a complete harvest in the future (1 Cor 15:20). Most all of these ideas will be mentioned in the rest of Philippians. Paul informs the Philippians that his “chains” (a euphemism for imprisonment and also a literal description of his living conditions) are well-known among a group least likely to have any interest in the gospel, namely, the Praetorian guard. This elite force guarded the emperor; we might think of them as Secret Service and Navy Seals rolled into one. That such men would know a story about a crucified Jewish “Messiah” would seem an unlikely bit of conversation, but Paul states that “the whole palace guard” knows of his situation. What precisely is that situation? Most likely the Roman guards have come to appreciate that Paul’s present situation is on account of his testimony. This conclusion need not imply that Paul was arrested because he was a Christ follower, but only that his current circumstances are comprehensible when seen as part of God’s redemptive plan in Christ for the world. Most likely the Roman guards have come to appreciate that Paul’s present situation is on account of his testimony. This conclusion need not imply that Paul was arrested because he was a Christ follower, but only that his current circumstances are comprehensible when seen as part of God’s redemptive plan in Christ for the world. Imagine a Roman soldier’s discussion with Paul and his subsequent astonishment when he hears Paul declare that his physical chains are not indicative of Caesar’s hold on his life. Instead, those chains establish Christ’s victory in spreading the gospel to all. Likely some guards shook their heads in disbelief, confident in the superior power of Caesar. Others laughed at Paul’s “fairy tale.” But perhaps a few went away pondering, seeing something in Paul that they had not seen in a prisoner before. Paul would identify that “something” as Christ. Paul’s chains have also served to greatly encourage Roman believers to preach the gospel. These believers see Paul’s witness, and in that testimony they see the power of Christ. That power has raised their confidence to speak the word. Paul rightly notes that these Roman believers are not speaking because of Paul himself, but because their trust and confidence are firmly “in the Lord.” Nothing makes Paul more pleased than that the gospel is being shared. He reminds his readers that all believers are equipped to talk about Christ’s work, the gospel. One does not need a seminary degree to speak about the death and resurrection of Christ, that work of grace accomplished by Christ and given to all who believe in his name. To some, Paul’s words are a comfort, for they worry that they will not explain the gospel well or will not have enough knowledge to answer questions. Take heart — Paul notes that trust in the Lord will allow anyone to speak the word. They are fearless, for they trust that the same power that animates Paul will watch over them. To others, however, Paul’s words represent an unwelcome conviction that they are responsible to speak. It is not their pastor’s job, or their Sunday school teacher’s job, or some other paid professional’s job to speak the word. It is a responsibility shared by all. These believers are bold and “without fear.” Paul implies that any “sane” person would be frightened to speak. I am not bold when I speak about Christ to a group gathered in a public park, or from a pulpit here in the United States; I enjoy freedom of speech protection. But these Roman believers are speaking the word under a dark cloud of suspicion that perhaps their conduct will run afoul of Nero, and they will end up as Paul, or worse. Paul likely praises the Roman believers to the Philippians not only because they should be honored for their courage, but because the Philippians can follow their example as they face struggles in Philippi (as Paul enjoins them in 1:27-30). Paul begins by stating that he wants the Philippians to know his situation. Surprisingly, he does not give much information about what has happened to him; instead, he minimizes his personal circumstances as he redirects attention to what really interests him, namely, the gospel’s progress. Several lessons can be drawn from this posture. First, Paul is modeling the attitude he’d like to see in the Philippians, which is the posture of smallness. Second, Paul sees everything in relation to the work of the kingdom. Third, while Paul is not unwilling to tell of his dire circumstances (cf. 2 Cor. 1:8-11), his restraint here demonstrates his underlying emphasis on his present joy. Imagine with me Paul writing this letter; would we paint him in the center of the canvas? Would we have the candlelight shining on his face, casting deep shadows into the corners of the tiny room? Or would the Roman guard stand aggressively over him in an intimidating fashion? None of these details that would interest a modern reader (or painter) seem of any consequence to Paul. If he painted the picture, perhaps we’d see the Roman soldier in the spotlight, eagerly leaning toward Paul trying to catch his every word. Maybe the fourth wall of the room opens onto a teeming marketplace, showing clusters of people listening attentively to a speaker in their midst. Now what if I put myself in that picture? When I lived in Kenya with my husband and two grade-school-aged children, I’d send news of our situation home to our supporters. I confess that these letters were usually filled with the struggles we faced, from natural calamities such as grasshopper infestations or mudslides, to physical concerns and illnesses, to business struggles as we managed a ministry. What I did not do, to my shame, is explain how those seeming limitations actually served to establish the “in Christ-ness” of our ministry. Instead, I was too much at the center of my circumstances. By this I mean that while I prayed to God to bring all things to his good conclusion, I did not narrate my daily experiences in that reality. When I prayed, I thought like that, but when I talked with others, especially those back home, my story line was about me, not about God’s work going on around me. Paul here shows a way forward from this self-absorption. He “resizes” the characters of the story, making himself small and Christ’s gospel big and tall, worthy of full attention.